Being a man of God is not something that is always lauded in our world, but at Holy Trinity we believe strongly in the value of equipping the males in our congregation to build up and serve each other as well as each of us. This group meets at 8 a.m. in the Fireside Room on the third Saturday of the month, where its members grow together in faith, love, and support, and discuss how they can serve church programs including our youth ministry. For more information about getting involved, please contact Fred Lindberg. Each fall, the men of our congregation join together for some meditative time in the wilderness, at the El Camino Pines campsite in Frazier Park, a town about an hour and a half north of Holy Trinity. 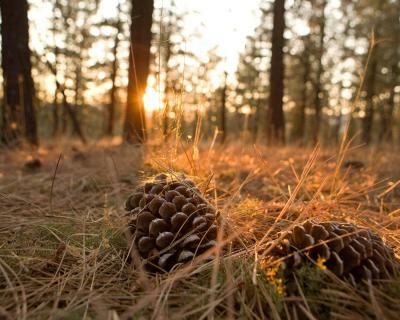 El Camino Pines offers a relaxing space away from the city noise, where friends can worship, conduct quiet personal study, hike, and enjoy nature and each other’s company. For more information about attending this annual event, please contact Fred Lindberg.